The idea of showing classic movies with the accompaniment of live music -performed by one or a few musicians, or by a large orchestral ensemble- is an idea that no longer applies only to silent films, as was usual practice back then, before the sound system was installed (which first took place with The Jazz Singer, 1927). But is also being rescued to be applied to films after that date, with the sole purpose of amplifying the show and reviving the plot, putting the focus on that element -the soundtrack- that in many of the best films is far from secondary. Music constitutes from within the semantic reach of history, it is the invisible thread that emotionally binds the viewer, is more or less aware of its effective impact. Vertigo took advantage of the mastery of composer Bernard Herrmann: some of his themes are memorable, like the one that illustrates the episode of Scottie's psychedelic nightmare. All in all, it is the love theme, which is tristanian-like linked to death, which contributes to the fact that this film -considered by the prestigious magazine Sight & Sound the best of all times- keeps intact its mysterious and seductive ancestry. 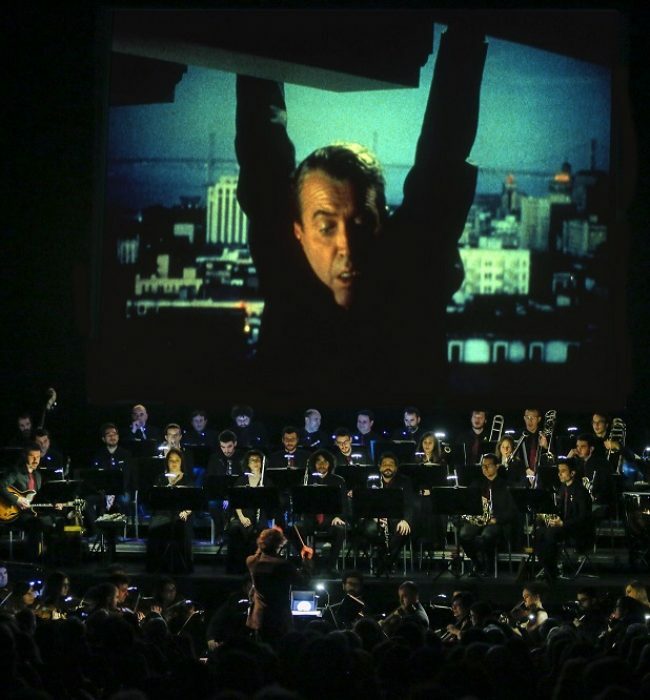 In a double session, in the large room of the Cine Aribau, spectators will be able to enjoy the movie thanks to the more than 60 musicians of the Orquestra Simfònica Camera Musicae, directed by the maestro Anthony Gabriele. Magic is one of the most difficult things to foresee, anticipate or provoke, just like the awakening of an intense emotion that imposes itself against all odds. And yet, the meeting of these two young musicians can be assumed as an infallible alignment of stars. Restless artists, who have explored by means of their instruments -Silvia Pérez Cruz, the voice, Marco Mezquida, the piano- the confines of musical significance. The passion and commitment evidenced in their contrasting adventures are the guarantee that proves the exceptional nature of the event, which will be held in a gorgeous framework, the Palau de la Música. A voluminous space, with great capacity, but in which it is possible to recreate the optimal conditions for the intimacy of the singing of Sílvia Pérez Cruz and the sophisticated improvisations of the pianist Marco Mezquida. If the singer's repertoire is vast, the pianist, with a classical training but always well-disposed towards the characteristic experimentation of jazz -without losing the taste for melody in the development of the themes- has proved to be no less open-minded. In fact, at thirty-one he has already recorded 50 albums, alone and in collaboration with other artists. The complicity between him and Sílvia Pérez Cruz is a potentially rapturous reality, which may end up fixing the event in the memory of those present. In this sense the organizers allude to a text written by the singer, addressed to Mezquida: "Singing My Funny Valentine from underneath a piano years ago in Gràcia while you played it (I sang it to you secretly, thinking that you did not listen to me) began our music, that until now nobody has listened to, the desire to sing to you. Until now I did not know you had listened to me, I did not know you knew this secret. I feel like you've waited for me, that you know how to keep a secret very well". Can the excessive popularity of a work affect the work itself retrospectively, as if, due to the fact of being well-known -recognized and appreciated by the majority- had to lose quintals of importance? It is undoubtedly a romantic myth, eventually snobbish, that which advocates the misunderstood character of the "true artist" as a sine qua non condition of his art, as if artists could only be valued in posthumous way, and by a few particularly sensitive or trained individuals. In fact, some great creators enjoyed a massive fame during their lifetime, both in the field of music -Vivaldi's case- and in other cultural spheres. We think, for example, of Cervantes. In fact, Michel Foucault has explained that great artists are those who provoke, in their time of life or afterwards, the possibility of re-visitations, of creating new meanings. Vivaldi’s Four seasons have not only led to equally original continuations, with their own idiosyncrasies -the Estaciones porteñas, by Astor Piazzolla, which we recommended last month- but have encouraged interventions such as that of Max Richter in his Vivaldi Re-composed. These are much closer to the original versions, with a minimum degree of modification -even if the electronics intervene at some point- that update the meaning of Vivaldi’s and reach the listeners with an unprecedented freshness. The tremendous success of this work in Barcelona’s Auditori (with an audience usually oblivious to classical music), several seasons ago, certifies it. Of course, the other way of updating is the one that is being offered by period versions, performed with old instruments and interpretative modes that seek to reproduce those conditions of the moment in which the composer created his works. In an amazing, counterintuitive way, in the best cases it happens that the emphasis on archeologically reconstructing the original sound gives rise to extremely modern or fresh versions, closer to the current spirit. While it is impossible to make that space-time leap, performances such as Fabio Biondi’s, together with his group Europa Galante, aspire to draw that complex square of the circle, which abounds joyfully in the ex novo repetition of familiar and yet surprising melodies. The pyrotechnics of Vivaldi, the proliferation of rhythms and colours transcend the Venetian tradition of carnival. In fact, they speak of the human need to celebrate life, also in the eloquent experience, emotionally rich, of the progression of the seasons. Mozart acknowledges having learned the art of the quartet from Haydn -a fact remembered over and over again by the dedication made explicit in his most celebrated series of quartets - but the truth is that the result of his abilities far transcends mere imitation. The creative impulse that Mozart showed in those chamber pieces is found in the quintet for strings, a format that, in his case, unlike Boccherini’s, does not double the cello but the viola (an instrument that Mozart himself greatly appreciated, and which he played in his meetings with friends). 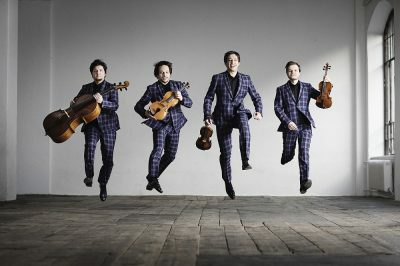 To the Apollon Musagète Quartet, one of the most successful chamber ensembles in recent years, is joined on the occasion Nils Mönkemeyer, virtuoso of that fifth instrument that has recorded several albums. A meritorious fact, taking into account the primacy in terms of popularity of the immediately more low and high strings, violoncello and violin. In the magnificent Oriol Martorell auditorium of the Auditori -very comfortable and acoustically remarkable- one of the last pieces composed by Mozart can be heard: the "Quintet in C minor that Mozart composed ‎whilst in the midst of major financial hardships and in which he expresses all his disquiet in ‎several opening measures that are full of drama (…) catalogued as K.614 ‎and written in the year of his death, with a sublime Finale where the principal ‎theme conceals, within its lightness, the seed that Mozart would turn into an intense and ‎conflicting fugue”. In addition, Nils Mönkemeyer will face a solo piece as emblematic as the Suite for Cello No. 1, rarely performed with a viola. 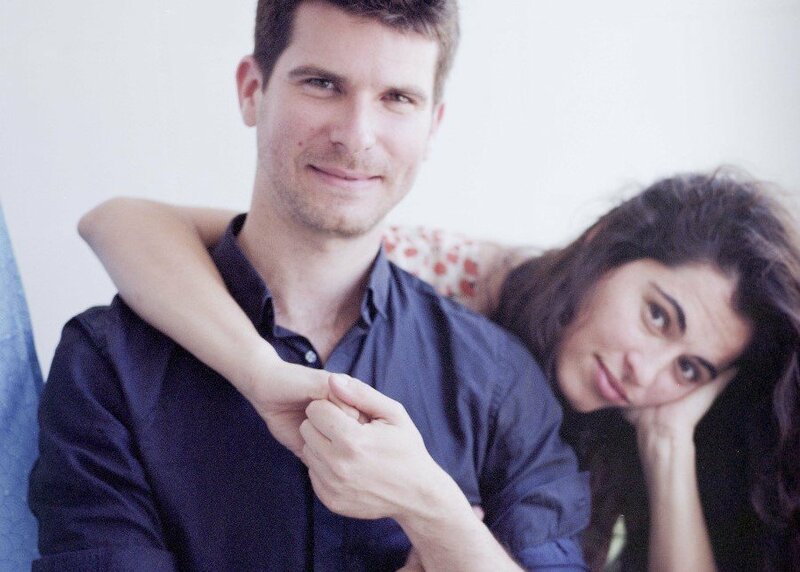 In short, this is a concert full of inducements, especially for lovers of classical music, whether they may be more or less fond of chamber music. In the end, what seduces is the maximization of expressiveness through a dialogue by few instruments, which are treated and recognized inter pares, without monopolizing the role. the genius of Bonn was dedicated to the cultivation of genres other than opera, except for the case of Fidelio. Genres in which for generations he would remain unsurpassed -for some, up to the present- and we are not thinking only of the symphony genre, but also of the sonata and, above all, the quartet. A sample of Gioacchino Rossini’s abilities is L'italiani in Algeri -work of youth, but perfectly idiosyncratic- in which the humour and the social critic meet, through catchy melodies and virtuous passages for the voice, which inevitably reach the spectator. The vindication of women and the breaking of topics is carried out with the best of dispositions and with a musical language that can surprise by its modernity, even if, obviously, it did not produce great alterations in people’s consciences. 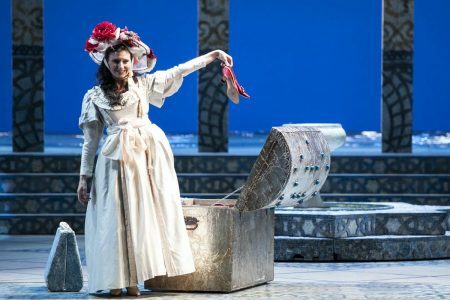 In the version of the Gran Teatre del Liceu, with staging of Vittorio Borrelli and direction of the Maestro Riccardo Frizza, we will attend a wonderful characterization by singers such as Luca Pisaroni or Sara Blanch, who will make possible the almost alchemical confluence of fun and critical reflection. 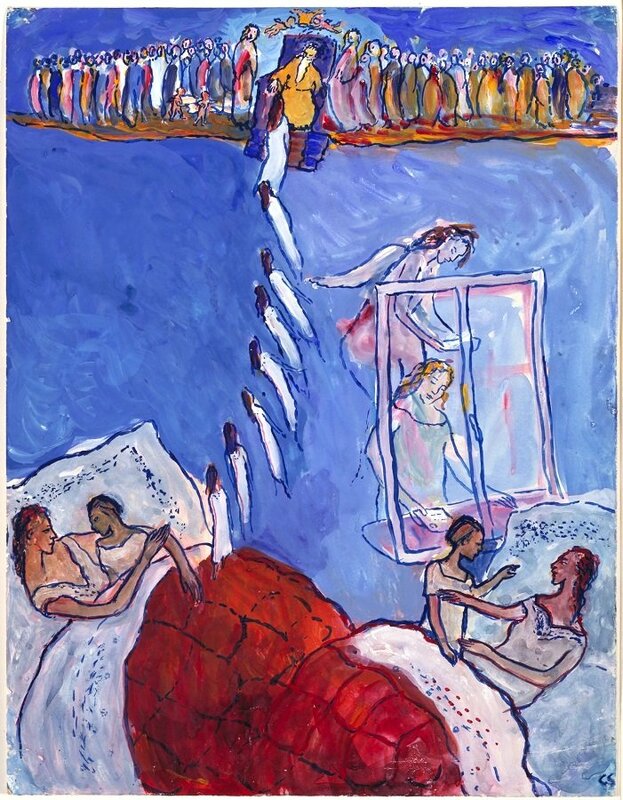 A dream frame, a haven of peace as it is the Monastery of Pedralbes hosts the show by Charlotte Salomon (1917-1943), a little-known artist who is the author of a fascinating story in which painting, music and text converge, and which is decisively connoted by the final misery that she, like so many other innocents, had to experience as a result of the National Socialist regime. Born in Berlin and died in the extermination camp of Auschwitz at the age of twenty-six, his is a "total" work, which integrates different languages to try to answer an unknown question, not only in terms of a dilemma. Life? Or theater? (Leben? Oder Theater?) carries the subtitle Ein autobiographisches Singspiel in 769 Bildern, translatable as "a play with music of autobiographical character, in 769 images". It narrates family events with an admirable frontality, which does not prevent such introspection to be also affected by certain gaps. Before giving way to the dramatic action, Charlotte recognizes: "since it took me a year to discover the importance of this unique work, some texts and melodies, especially in the first pages, finally got out of hand and should, like that the whole work itself, keep some mystery". The truth is that the action progresses in a very natural way, illustrated by primary colour paintings, gouaches that one would say close in spirit to German expressionism, in vogue a few decades before. In the Monastery of Pedralbes, the entire work (consisting of 769 images) is not shown, but a generous selection to appreciate the inevitably vital work that the young artist created. 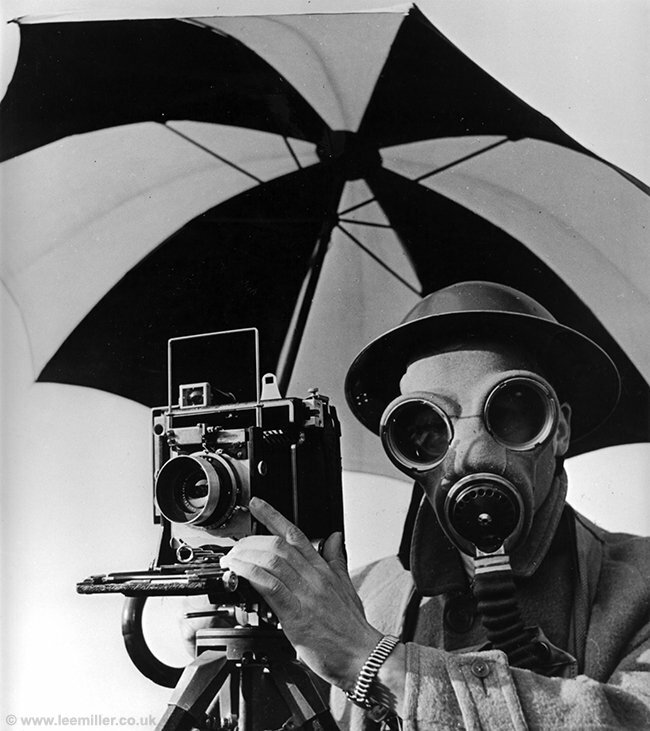 through the figure of photographer Lee Miller and her fellow Roland Penrose. Both exerted as "ambassadors of the surrealist cause", also establishing a friendly relationship with Joan Miró, who -as recalled in the Foundation- "maintained a permanent contact with the British scene culminating, in 1964, with a monographic exhibition in the Tate Gallery". The present exhibition, which can be visited until January 20, 2019, includes paintings, sculptures and photographs by Joan Miró, Man Ray, Paul Nash, Salvador Dalí, Eileen Agar, Max Ernst, Henry Moore, Leonora Carrington, Yves Tanguy, Roland Penrose and Lee Miller, among others. Works diversely hand-made, with very contrasted supports, that coincide in their effort to reveal that excess of habitually invisible reality, through the deformation of the figures (disfigurement that in some cases is synonymous with abstraction) or the conjunction in a same plane of discordant elements, as it happens in so many snapshots. The year 1929 is fundamental for contemporary art, at least in the city of Barcelona. The exhibition of works at the MACBA explicitly starts from that date, when the city hosted the Universal Exhibition -with such emblematic and influential pavilions as the German one, the work of Mies van der Rohe-, to postulate a new conception of creativity itself, far away from the traditionalist manners. It is the date -the organizers remember- that Breton wrote his second surrealist manifesto and the MOMA was inaugurated. These, and other concurrences, constitute a context -or, better, a certain climate of artistic renovation- that in the MACBA’s exhibition it is chronologically unfolded. Through a first genealogical immersion, having identified the germs of creative development, those new ways of shaping ideas (architectural, pictorial, literary...) are illustrated, along a fast-paced journey, entitled "A Short Century". It offers a new vision of the permanent collection of the MACBA, by transgressing and unclassifiable creators, such as Basquiat. The organizers explain: "The presentation is conceived to narrate the history of modern and contemporary art through the particular perspectives, policies and themes that the MACBA Collection has developed since its inception”. “Comprising over 150 pieces (paintings and graphic arts) and archival documents (journals, letters and photographs) the dialog established here between the works by Picasso and Picabia will reveal the real or imagined links between them”, states a presentation note of the exhibition that the Mapfre Foundation offers until January 13th, 2019. 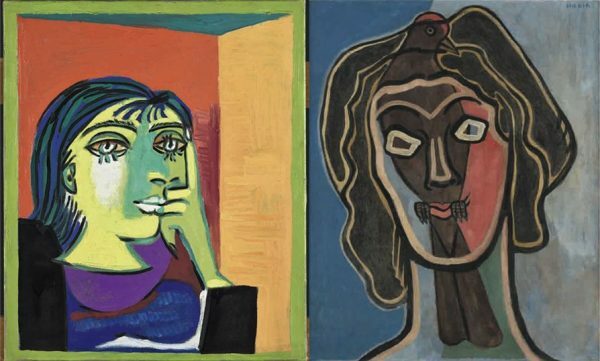 The multiple influences that are detectable in Picasso's work (influences of the past, recognized by himself, but also many others of his strict contemporaneity, not always made explicit) make that affirmation pay for all the sense. The fluctuation of their creativity, often catalogued in "periods", can also be understood in parallel to the efforts of other creators who, like him, try to reform the expressive media, either from a scarcely academic figurativeness or from the frontal break with any reminiscence to representation. Francis Picabia, so often related to Dadaism due to his refusal to display a universally significant language, is one of the individuals who, from a radicality that is alien to Picasso, gravitate in the same universe, that of experimentation and the incessant renovation of expressive patterns. There are many pieces of the exhibition organized by the Mapfre Foundation that allow building bridges, and many others seem to advance in antithetical directions; something that does not necessarily represent a sign of incompatibility being, actually, an occasion to think them together, from the tension that is inherent in the genuine creative act: "This exhibition is designed to offer a journey through the history of art from the emergence of Cubism around 1910, moving on to Dadaism in 1915 – of which Picabia is undoubtedly one of the prime exponents – and looking at the 1925-1928 period, when both artists shared a taste for what we might call monstrous classicism. The exhibition ends with a selection of their final paintings: whereas until his death in 1973, Picasso relentlessly returned to the human figure, Picabia, whose career finishes in 1953, reduced the act of painting to subtle monochrome works peppered with dots”. an effort that allows us to appreciate his links with painters from the peninsula and the regions of Flanders or Italy, and also from others even farther away, such as overseas territories. Thus, in addition to the seven wonderful paintings of Sevillian master, the visitor can enjoy canvases of such relevant names as Rubens, Titian, Ribera, Van Dyck, Brueghel the Elder, Zurbarán, among others. 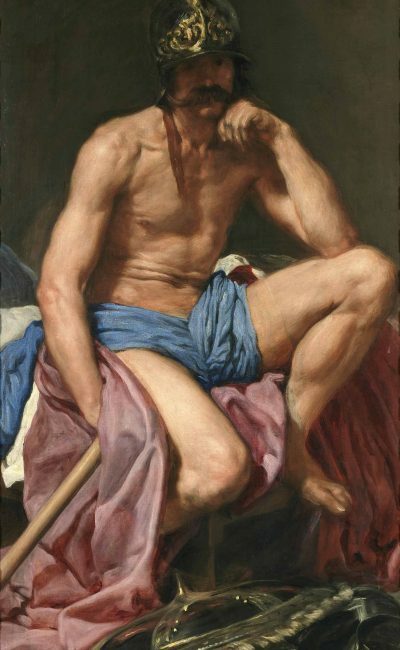 "Works by international artists," the organizers explain, "contemporaneous to the Spanish painter, exposed according to a thematic criterion that allows a better understanding of Velázquez's originality as a narrator. At the same time, the exhibition shows artists from different backgrounds, effectively breaking the limits of national schools".